People these days are more alert and aware of the importance of clean living and being healthy. On top, people know the value of relationships and being the best version of themselves. The only problem is that there’s no real time in the day to focus on these things. We’re stuck in a routine which requires 90% of our focus and energy. It’s no secret that in order to get anywhere, we have to be willing to sacrifice a little. That means if you want to get fit, you have to cancel out a lot of the fatty stuff. If you want to build a business, you have to put in your spare hours away from your regular job to make that happen. Basically everything takes some sacrifice. But who really has the time to go to the gym? Only the select few who care about their bodies. But you don’t need the gym to gain good health. Thanks to yoga, you can get the same results than walking or running on a treadmill and then some. 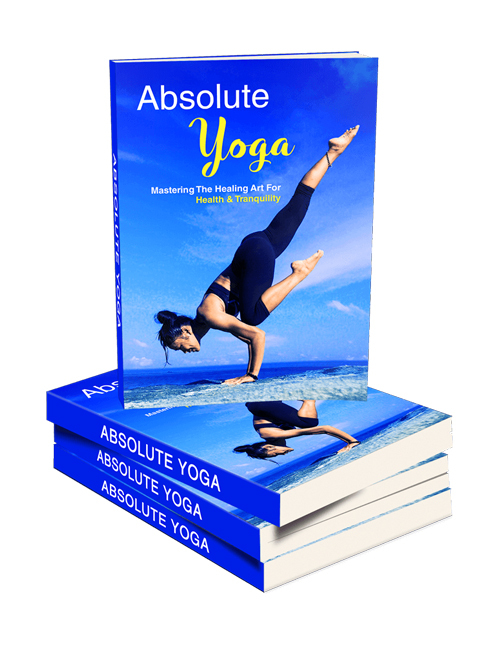 In this guide which supplements the Absolute Yoga Video Course, you will discover the most crucial reasons why you need to practice yoga, the enormous benefits of yoga, how to cleanse your mind and soul and enhance your focus and improve your life. You’ll also learn how to lose weight and get healthy, various yoga moves and poses for improving your immune system that you can incorporate and much much more. When you’re ready, hit the download button.